What does communication with a customer mean to you? 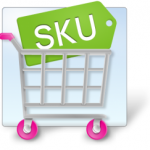 In case, you are an e-commerce business owner, you certainly understand its significance in the industry. However, what can we do to engage more with our customers? In fact, newsletters proved to be an influential instrument in attracting client’s attention and increasing overall sales rate. 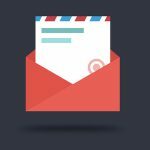 So, the more people you have subscribed to your newsletter, the better it is for your e-commerce business. 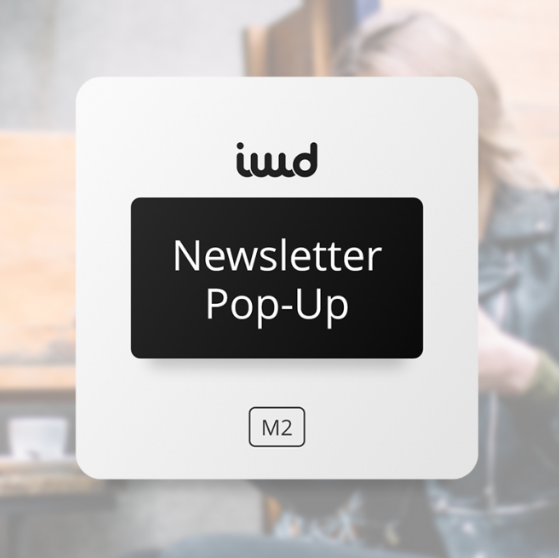 Taking into consideration what we have just mentioned, we would like to introduce you to IWD Magento 2 Newsletter Pop-up extension. It is an irreplaceable assistant which helps your customers subscribe to your newsletter in order to be aware of all special offers and recent news. Basically, the Magento 2 newsletter module displays a pop-up window which contains all the necessary information to follow your company’s communication channels: newsletters and social networks. 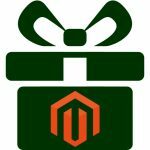 When you download the Magento Newsletter Subscription Pop-up extension, you will be able to enjoy its highly customizable configurations. Thus, you can easily define the colors for buttons, texts, and icons as well as edit the content and set pop-up window location on the page. As we have already mentioned, there are 12 social networks which you can insert in the area to let your customers follow your resources. Moreover, you are able to either apply the traditional icons of the selected social networks or you can customize them to make it suit your website’s design. Apart from it, the Magento 2 tool allows you to determine timing conditions, which once are met, trigger the pop-up window appearance (for instance: display the window after 10 seconds of customer’s staying). Since each website has its own style and design, the Magento 2 newsletter pop-up extension provides you with an ability to define the width of the window, determine rollover, hover, and text colors for the subscription button to make sure you can control the way it will look on your website. 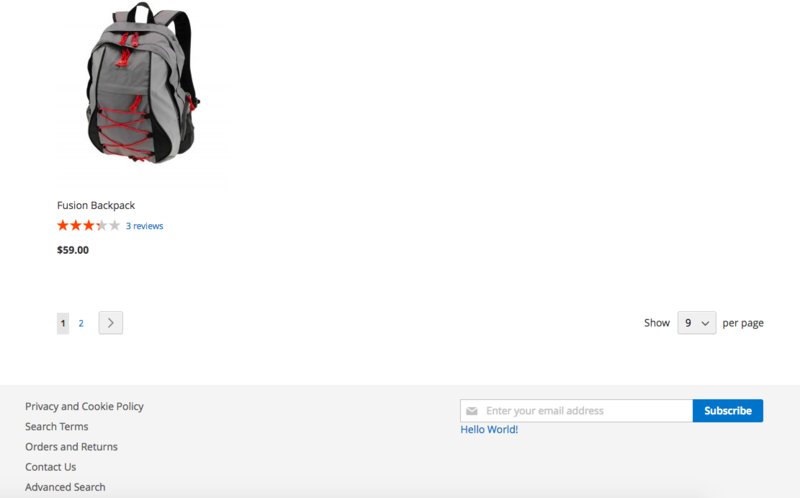 In essence, that’s the way the pop-up window will appear on your customer’s screen. Again, you have full control over its content and design. Take full advantage of it to make it look bright. Furthermore, you are able to add a subscription section to the footer with an ability to easily manage the way it looks as well as specify CSS path and the text link content to let your customers trigger the pop-up window. 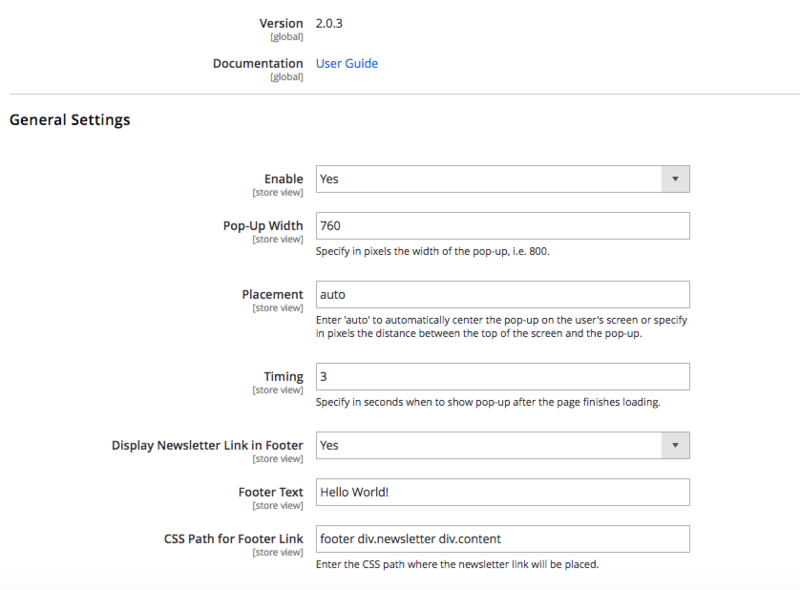 In the backend of the Magento 2 newsletter pop-up extension, you are able to enable/disable the module as well as set the width of the window, timing conditions, footer text, etc. Once you get to the design part, here you get full control over the colors which will be used on the pop-up window: determine button color, button hover color, button text color, button text hover color. When it comes to Social icons, simply select which social networks you would like to be displayed. Then, decide whether you want to use custom or standard icon colors. Enter the link to your social media account. Apart from it, the Magento 2 newsletter pop-up extension possesses a subscribers grid. Here, you are able to manage your subscribers. With the help of drop-down menu, you can delete/unsubscribe people in the list. 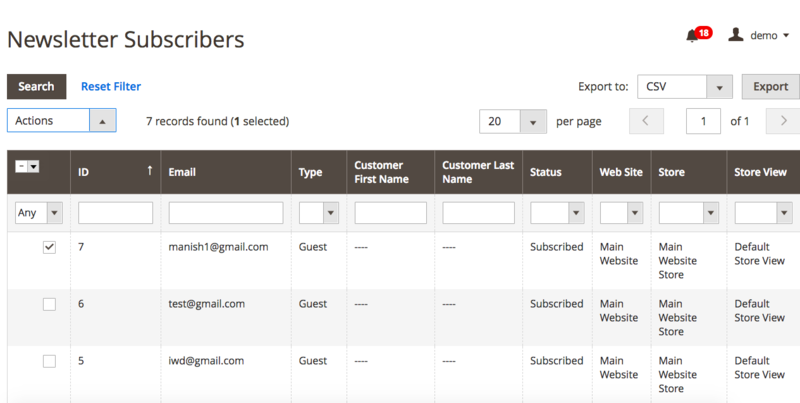 However, you can also search for a particular subscriber by using filter feature as well as export all the data to CSV.